Istanbul explores how to live with difference through the prism of an age-old, cutting-edge city whose people have long confronted the challenge of sharing space with the Other. Located at the intersection of trade networks connecting Europe, Asia, and Africa, Istanbul is western and eastern, northern and southern, religious and secular. Heir of ancient empires, Istanbul is the premier city of a proud nation-state even as it has become a global city of multinational corporations, NGOs, and capital flows. 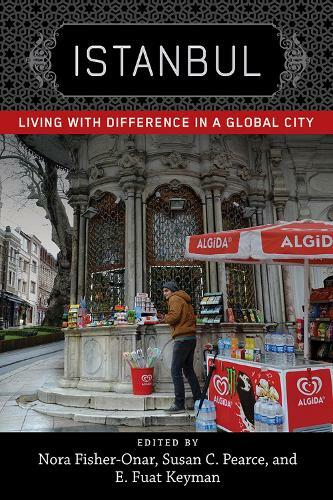 Rather than exploring Istanbul as one place at one time, the contributors to this volume focus on the city's experience of migration and globalization over the last two centuries. Asking what Istanbul teaches us about living with people whose hopes jostle with one's own, contributors explore the rise, collapse, and fragile rebirth of cosmopolitan conviviality in a once and future world city. The result is a cogent, interdisciplinary exchange about an urban space that is microcosmic of dilemmas of diversity across time and space.